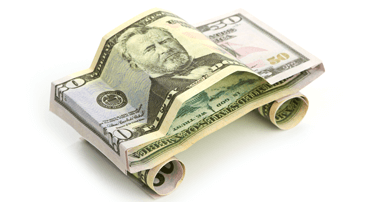 Refinance your existing auto loan and save money every month! Refinancing can be an excellent option for people who currently have an auto loan and are looking to lower their monthly payment, get a better interest rate, or change how long it will take to pay off the loan. This can be especially useful for people who have had credit issues in the past, and it provides an opportunity to get more favorable financing terms. Refinancing can be an excellent money-saving strategy when you finance a car and did not receive favorable terms. The interest rate you are able to qualify for is largely determined by your credit score, so when you finance a car when you have less than perfect credit, it's likely that you received an APR that was higher than average. Luckily, there's such a thing as a refinance. When you refinance a car loan, it means you are replacing your current loan with a newer one with different terms, usually with a different lender. Even though many people haven't explored this option, it's a valuable tool that can often help a borrower out. Refinancing a car can have different outcomes for different borrowers. It's important to consider all aspects of both your current loan and any potential refinanced loan before you commit to it. You would be wise to make sure that you understand your motivations for doing so and make sure that it can accomplish the outcome you desire. While there are many reasons for doing so, the two main reasons to refinance are to reduce your interest rate or lower your monthly payment. It generally makes sense to refinance your auto loan when your credit has improved, when interest rates drop, or your financial situation has changed, for better or for worse. Under the right circumstances, an auto refinance may save you some money. And getting refinanced can be faster and easier than you think. Refinancing at a lower interest rate while keeping the same terms - You can keep the length of loan the same, but secure a lower interest rate. This can result in a lower monthly payment and greatly reduce the amount of interest you pay over the rest of the loan term. Refinancing to a lower interest rate and a shorter term - A lower interest rate could mean a lower monthly payment, which could lead to extra room in your budget. Or perhaps you've landed a new job or raise and want to accomplish the same thing. If you refinance at a lower rate and shorten the loan term, the monthly payment will increase, but you'll be able to pay the loan off faster, which also means you pay less in interest over the remainder of the loan as well. It should be noted that, unless you are able to secure a significantly lower APR, you could simply pay more each month in order to pay off the original loan early. Simple interest loans don't have penalties for paying them off early, and then you wouldn't have to deal with the refinancing process either. Refinancing to lower the monthly payment by extending the loan term - If an economic downturn or personal circumstance has you on the brink of financial trouble, a refinance can help you free up some money. If you can't keep up with your old car payment or other obligations, you can refinance and extend the loan term. This will lower the monthly payment and allow you more flexibility in your budget. This can prevent your car from getting repossessed or help you avoid other credit issues, but the trade off is that it will take longer to pay off the car. Generally, lenders are looking for a credit score that can be considered "good" or at least above average. However, it is also possible to be approved for a refinance if you are far enough along in the credit rebuilding process. For example, those that took out a bad credit auto loan can significantly improve their credit score over the course of a year or two with steady, on-time payments. And while their credit still may be less than perfect after that time, they can still be approved for a refinance with better terms. Step 1 - Review your credit reports, credit scores, and current loan. Just as if you were preparing for any other loan, you want to get a feel for where your credit is before applying. You can even check your reports for errors or inaccuracies that you can dispute and have removed. If you have been monitoring your credit rating, it helps to know if your score has improved since taking out the original auto loan. You will also want to make sure that your current loan doesn't have any prepayment penalties associated with it. Step 2 - Research. You'll want to research several different banks and lending institutions. These companies will have different requirements and rules for what type of car and loan they are willing to refinance, so you want to make sure that your situation meets their standards. You can also consult a car refinance payment calculator online, as these tools can be very helpful. Step 3 - Rate shopping. Most banks and credit unions offer free quotes, so you'll want to check with a few to see what new interest rate you can qualify for. Comparing a few different offers gives you the best chance of finding the lowest rate. Step 4 - Choose the right lender for your situation and apply. Applying for a refinance should be free, and it can usually be accomplished online, so you can remain in the comfort of your own home .You can also apply with a few different places, as multiple hard inquiries won't adversely affect your credit rating if you complete your rate shopping in a 30-day period. Step 5 - If approved, prepare the necessary documents. 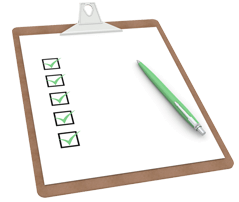 Most lenders will require some documentation before the process is finalized. While it will vary by lender, expect to be asked to provide proof of income, proof of residence, the title document, and possibly more. Step 6 - Payoff the original lender. Once you have been approved, you need to find out if the new lender will be sending the payoff check directly to the original lender or to you. Once they are paid off, the refinance is complete. If you are turned down, there are a few things that you can do. You could try to re-apply with a down payment or a cosigner, but the most prudent course of action may be to take some time and work on improving your credit score. Many borrowers with bad credit want to know if they will be able to refinance their car loan. Unfortunately, not all credit-challenged consumers will be able to get approved for a refinance with better terms. It's hard to do unless you have taken the necessary steps and time to improve your credit rating. However, it can be accomplished if you have made all of the payments on your original loan on time and in full for around 18 to 36 months. A steady track record will show the new lender that you are serious about successfully completing the loan, so borrowers that are far enough along in the process of reestablishing their credit can be approved. Even if your credit is still a work in progress, it's still possible to qualify for a refinance. Even a modest interest rate drop can result in significant savings over the remainder of the loan, making the refinance worthwhile. Living in Chicago, Illinois and Need to Get a Car? Try Leasing! When you live or work in Chicago a car is going to be absolutely necessary and when buying isnt an option, you should look into financing an automobile.